Raphael J. 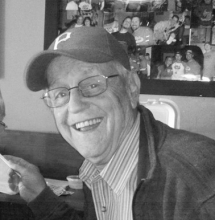 “Bud” Nonn, 81, of Lower Burrell, passed away Wednesday, Aug. 7, 2013, in Allegheny General Hospital, Pittsburgh, surrounded by his family. He was born in Madison, Wis., Sept. 23, 1931, to the late Rose Paar and William Nonn, and had been a resident of the local area since 1968. Mr. Nonn was a Navy veteran of the Korean War, and was a member of St. Margaret Mary Roman Catholic Church, Lower Burrell. Prior to his retirement in 1994, he worked as a plant manager for Air Products and Chemicals in Creighton for 28 years. He enjoyed traveling and camping with his wife and family. He and his wife enjoyed the winter months in Texas. Bud was an active member of various clubs and organizations. He loved his garden and flowers. OREGON—Karen Grosse Bong Hanson, age 55, passed away on Friday, August 30, 2013 at her home, after battling stomach cancer for one year. She was born on January 12, 1958, the daughter of Donald and Angela Grosse, and raised on her parents farm in the Springfield/Martinsville area. Karen was a fun loving person who had a great work ethic. She was known for her green thumb that was witnessed by her beautiful flower gardens surrounding her home. Karen also loved going on Harley rides with her husband, Gary, whom she was married to for 11 years. 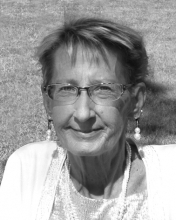 She worked for 36 years at Tracor/Noran/Thermo Fisher, where she was a part of a great group of co-workers. 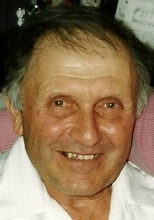 Arthur “Art” C. Koslowsky, 88, of Lena passed away Thursday, June 27, 2013, at home with his loving family at his side. He was born to the late Charles and Tillie (Kershek) Koslowsky, September 22, 1924 in the Town of Lena. Art graduated from Oconto Falls High School in 1942. He married Marie Levash September 29, 1945. They took over operation of the Koslowsky and Levash farms. The greatest joy in his life was spending time with his family, especially his grandchildren and great grandchildren. Art enjoyed teaching all his grandchildren to drive at “Papa Art’s Driving School.” He also enjoyed deer hunting, fishing, flower gardening, a great meal and a great practical joke. 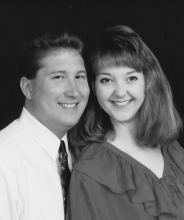 MADISON-Jennifer Lynn Carignan, age 43, was born December 13, 1969 in Madison, the daughter of Diane Smyth Bright of Madison and Steven Whitcomb of Rhode Island. She graduated from Middleton High School in 1987. 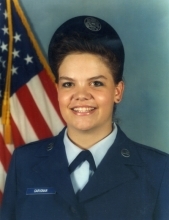 She entered the Air National Guard in Madison and transferred to the 202nd Red Horse Squadron in Blanding, Florida. She achieved the rank of Staff Sergeant. Jennifer attended Florida Hospital Registered Nursing program, specializing in Pediatric Intensive Home Care. Her love for children really shone in her work. Edwin F. Haack, age 93, passed away on Tuesday, April 2, 2013 at Agrace HospiceCare in Fitchburg. He was born on November 15, 1919 in Fitchburg, the son of Fred and Louise (Warner) Haack. Satellite Beach, Florida-Dean Zentner, 70, passed away on March 27, 2013, after a long illness. Dean earned a BS Degree in Applied Math & Engineering Physics, and a Masters Degree in Computer Science, at the University of Wisconsin. He worked on the Apollo Space Program and many other Defense projects. He was a member of Mensa. He is survived by his wife of 47 years, Sally; his son David; daughter Theresa; granddaughter Skylar, and 4 brothers and sisters. A memorial service will be held at Ascension Lutheran Church, Indian Harbour Beach, Florida, on April 13, 2013, at 11 a.m. Anyone wishing to share a memory, send the family a message or place a memorial donation is asked to please visit Dean's guestbook at www.beachfuneralhome.com. 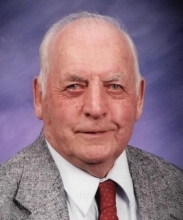 Douglas William Brown, 84, Madison, Wisconsin died on March 21, 2013 at St. Mary’s Care Center. He was born to the late Elmer and Stella (Hayden) Brown on April 30, 1928 in Milwaukee, WI. Doug graduated from Division High School in Milwaukee and received a BA in Engineering from the University of Madison. He married Betty Ann Schlough from Mazomanie, on July 30, 1955 and they lived together in Middleton, Wisconsin where together they raised 11 children. Doug served in the United States Army from 1946 until 1948. Doug worked as a construction estimator until his retirement working with Anthony Grignano Construction and Orville E. Madsen Construction. Nick Miller (Nicholas Joseph Miller), 102, passed away peacefully at Wynscape Rehabilitation Center (Wheaton, IL) on March 5. Nick, born February 3, 1911 in Waunakee, WI was the son of Nicholas and Margaret Miller (Brausen). Nick graduated Waunakee High School and soon began working in the Civilian Conservation Corps part of FDRʼs program to get the country moving again. The CCC gave birth to Conservation Departments across the United States. As a 40+ year employee of the Wisconsin Conservation Department, now Department of Natural Resources, Nick wore many hats - game warden, manager of fish crews seining rough fish and planting game fish in the stateʼs streams and lakes, and finally Southern Area Fish Manager at Nevin Hatchery. Nickʼs wife of 74 years, Sue (Voelcker) preceded him in death December 19, 2011.